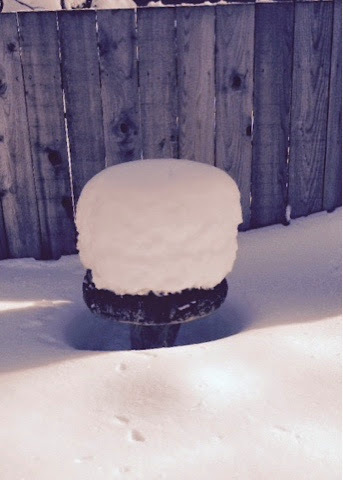 It almost buried the bird bath. 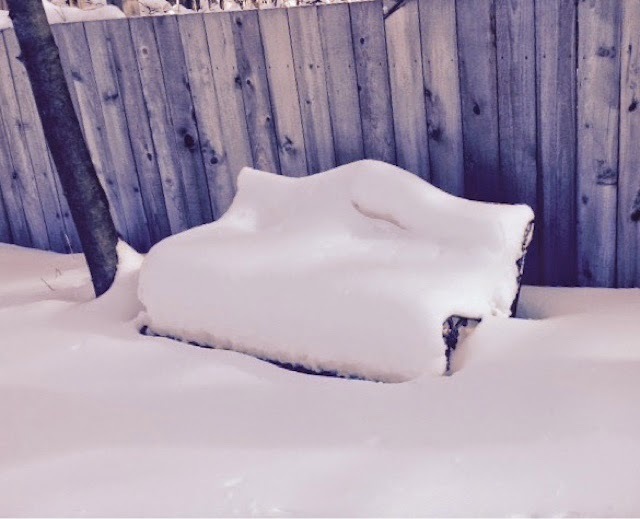 It blanketed the bench. We have bright sunshine, but it's still hard to get around! I spent Sunday knitting a hat. 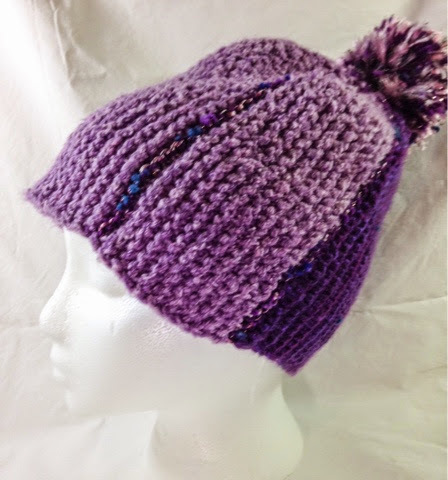 It was slow going because the lilac yarn is mostly cotton and not elastic. It does make a cute thick hat! The sweater sleeve doesn't show much progress. I thought that I needed to knit 18 more rows to the under arm. Did that and a little more. The cables didn't match sleeve #1. Retreated and started 2 rows later. Wrong! 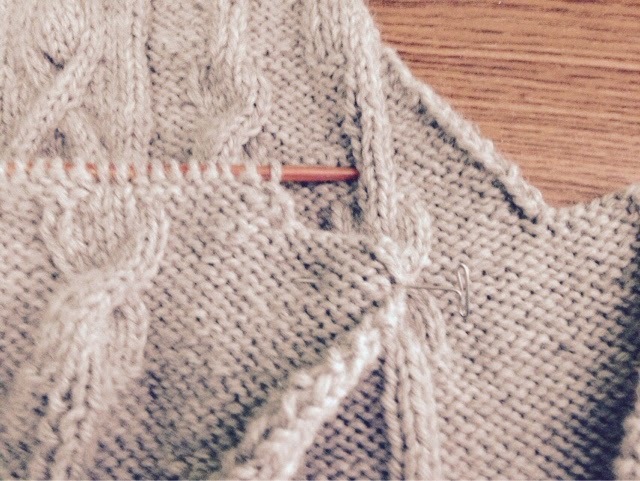 This morning I took another look at sleeve #1, and started the underarm 4 rows earlier, 16 rows from last posting. I could have finished it by now if I'd had my head together. It looks right now. 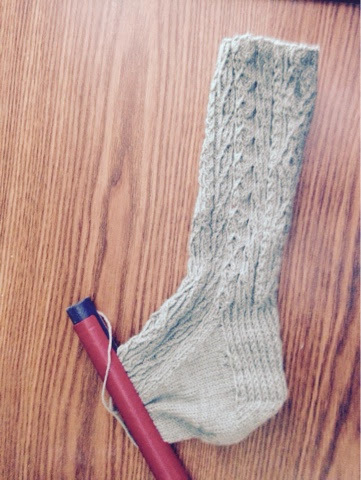 Sock the second nears completion.